The company has been hyping the launch of its OnePlus 6T McLaren Edition smartphone saying it would be a ‘Salute to Speed’ for the past few days. The device is now known to feature 10GB of RAM but the addition of a 50W SuperVOOC-like charging technology to the McLaren Edition just makes sense. Now when we are standing a week before launch, a leak has emerged online that gives us a look at the phone's design as well as its specifications. According to the leak, the OnePlus 6T McLaren Edition smartphone will be launched next week with premium features. 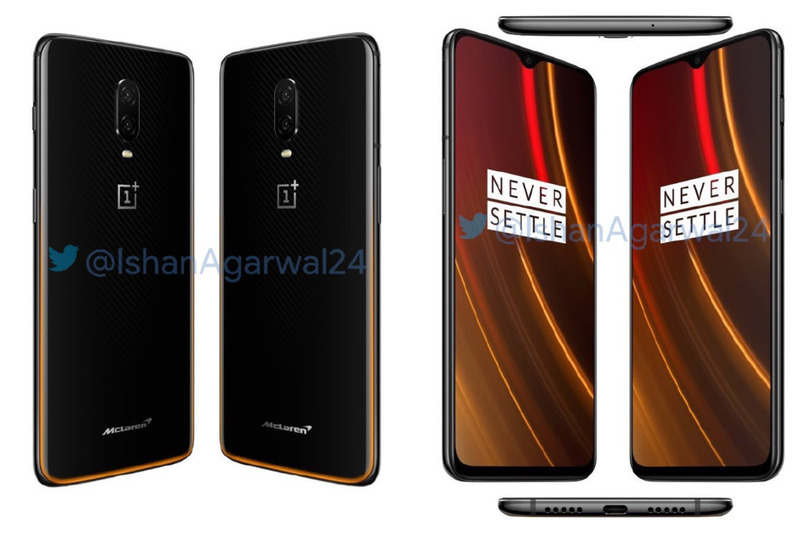 As per the tweet of Ishan Agarwal, where he shared the Picture of the new device, what are supposedly official renders of the upcoming OnePlus 6T McLaren Edition Speed Orange variant. The photos show the OnePlus 6T with a textured kevlar-style back and an orange accented band running across the phone's frame, symbolizing McLaren's trademark orange colour scheme. A McLaren logo is seen on the bottom of the back panel. Apart from that, the aesthetics remain similar to those the regular models — including the waterdrop-style notch, dual rear camera setup, and the likes. The OnePlus 6T McLaren Edition is now up for pre-registrations on Amazon India and users can hit the ‘Notify Me' button to get real-time updates around the smartphone model's launch. Passes for the OnePlus' ‘Salute to Speed' launch event in Richardson and Cruddas, Byculla, Mumbai were set to go on sale on December 6 on oneplus.in — at a price of Rs. 799 each — and seem to have been sold out ever since. OnePlus India has today taken to Twitter to tease that the OnePlus 6T McLaren Edition could feature faster-charging speeds than its existing flagship lineup. The tweet is accompanied with the caption “Charging is about to hit warp speed,” which may be the subtle hint one needs to suspect that Dash charging could finally be going away. If you don’t know already, OnePlus was sued by German technology company Bragi for using the ‘Dash’ branding to market is fast charging service in Europe earlier this year. There have since been reports that your flagship killer could soon come with a Warp Charger in tow, but nothing seemed to have been until today. OnePlus has, for the first time, has officially mentioned “warp” and introducing its next speedster (or flagship killer, as everyone still knows it) could be the perfect occasion to make the switch. The change, however, isn’t expected to be limited to the branding but also the technology, in my opinion.